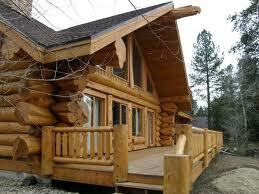 Log cabin rentals are a great way to try before you buy. If you’ve been considering buying or building a log home and want to try different log styles, various sizes or layouts, or visit remote or popular areas of the country, renting a log cabin can give you a taste of what’s to come with a minimal cash outlay. Renting a log cabin can also be a great way to bring your family together and create long-lasting memories of a family vacation in the mountains, gathered around the stone hearth or lazing away an afternoon with a good book on the porch hammock. It's an opportunity to spend time together in a relaxed, rustic setting that you will always talk about. "Remember when we rented that log cabin...?" Unless you have very strong ideas about what you’re looking for in advance, it’s best to just rent a log cabin somewhere fun and let yourself adjust to what you get. One of the most popular destinations is Gatlinburg and Pigeon Forge, TN. In fact, the twenty-mile area encompassing Gatlinburg, Pigeon Forge and Sevierville is the second most popular place for couples to go to get married. It's the perfect spot for a honeymoon cabin rental. Maybe it’s a cozy cabin surrounding a stone fireplace where everybody gathers. Or it could be a rambling log home with a large loft for the kids to play out of your hair. You can now get log cabin getaways with pool tables, foosball and air hockey, Jacuzzis or indoor pools and wide-screen satellite TVs. You could have everything on one level, ranch-style, for convenience, or else multi-levels that offer privacy and a chance to get away on your own for some peace and quiet. There’s nothing quite like the gentle pleasure of being torn between wanting to experience the adventure and fun activities in a new location and yet not wanting to leave the comfortable and relaxed log cabin where everybody can just hang out together and watch a movie or play pool. Log home rentals can be your ticket to a romantic escape, a rugged adventure, a rustic exploration of our nation's national parks or just a relaxed family time together.